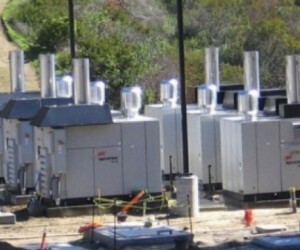 Ventura Regional Sanitation District wanted to take advantage of all the landfill gas as it became available rather than waiting 5-10 years for the optimal flow required for a large scale reciprocating engine. 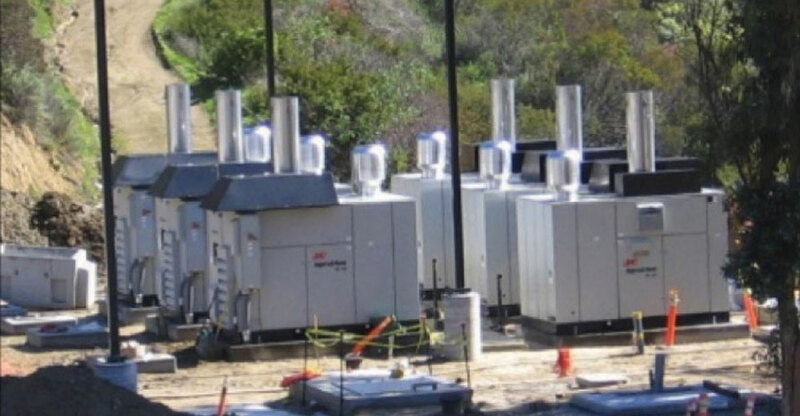 With installation of the FlexTurbine system, Ventura County affirms its’ commitment to renewable energy and environmental stewardship. The partnership with Flex Energy will continue to pay dividents in future years as the 9 commissioned 250kW MT250 turbines will increase to 15 to meet the full capacity of Toland Road Landfill. Results: Annual Emissions: CARB certified for operation on landfill. Annual Energy Savings: $ 1.9MM/year in energy savings. Renewable Portfolio Standard: 2,25 MW towards California’s overall renewable energy goals.